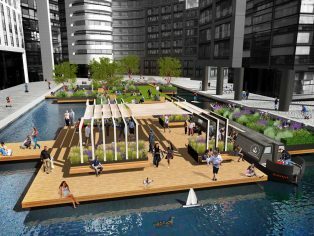 London’s first Floating Pocket Park is set to open this spring at Merchant Square in Paddington, following approval from Westminster City Council and the Canal and River Trust. 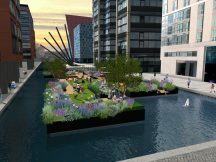 The new 730 sq m floating park in Paddington Basin on the Grand Union Canal will provide a striking green public space on the water with its own canal boat mooring. Developer European Land and Property Limited commissioned acclaimed garden designer Tony Woods of The Garden Club to create the new park at the heart of Merchant Square, complementing the canal-side neighbourhood’s award-winning public realm, and strengthening its commitment to providing innovative ways for the local community to connect through the use of outdoor space. 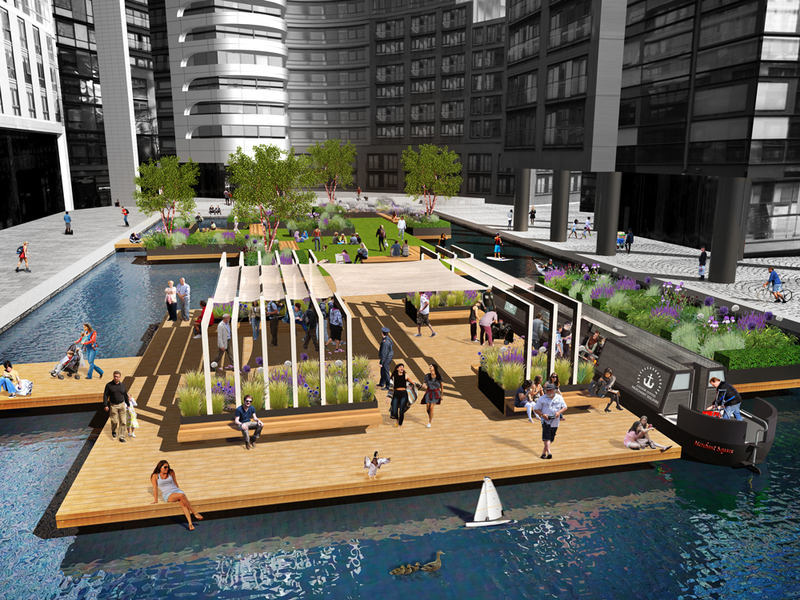 The Floating Pocket Park will feature open lawn areas, densely planted nectar-rich mixed raised borders and communal seating, as well as allowing people to walk over the water on a series of decked platforms and walkways. Bespoke planting has been developed to encourage wildlife and the park includes a separate pontoon designed to attract ground-nesting birds. The park will form part of the Greater London Authority’s ‘green infrastructure’ – an ongoing initiative to improve and connect streets, squares, parks, and canal and riverside spaces across London. A contemporary pavilion will provide support for plants and shade for visitors as well as a dedicated area for events with capacity for 120 visitors, designed to extend Merchant Square’s popular programme and attract London-wide partnerships. Free Wi-Fi across the estate encourages mobile working, and planting has been designed to sit comfortably with the more formal arrangements around the site and introduces softer textural herbaceous plants and grasses as ornamental centerpieces. 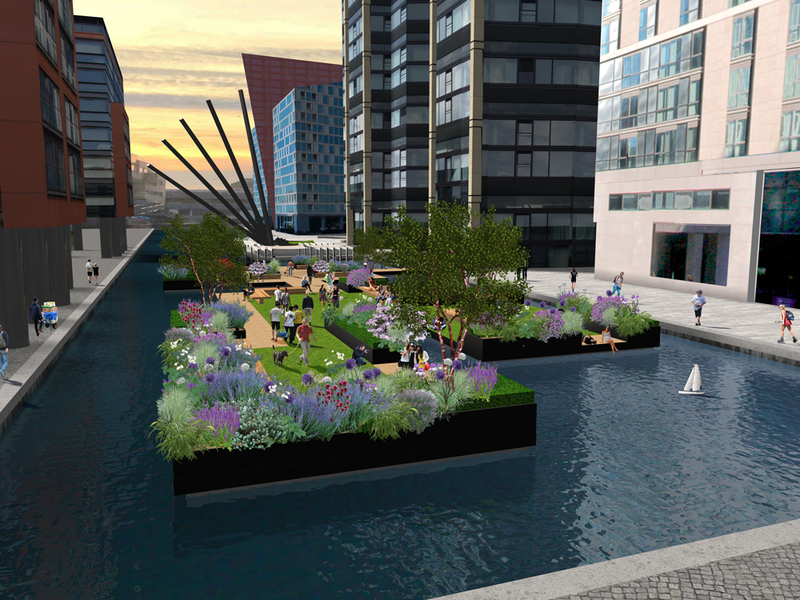 Open all year, the Floating Pocket Park will change across the seasons with stem colour in autumn, scented winter flowers, spring bulbs and an abundance of summer flowers. 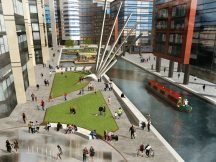 The Floating Pocket Park will complement existing urban design interventions including award-winning pedestrian bridges and a popular programmable water and light maze. It forms part of Merchant Square’s overall commitment to its residents and corporate tenants to create a sustainable and connected community. 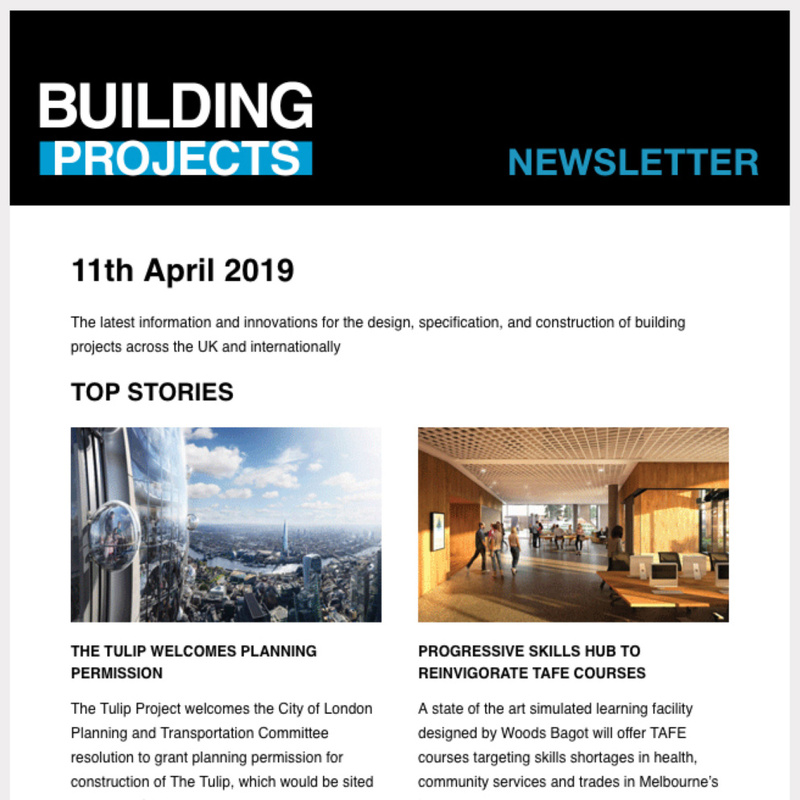 The neighbourhood is linked physically with excellent transport infrastructure, digitally, socially and by a sense of shared knowledge and learning.